Are you team cheesy or team coconut? 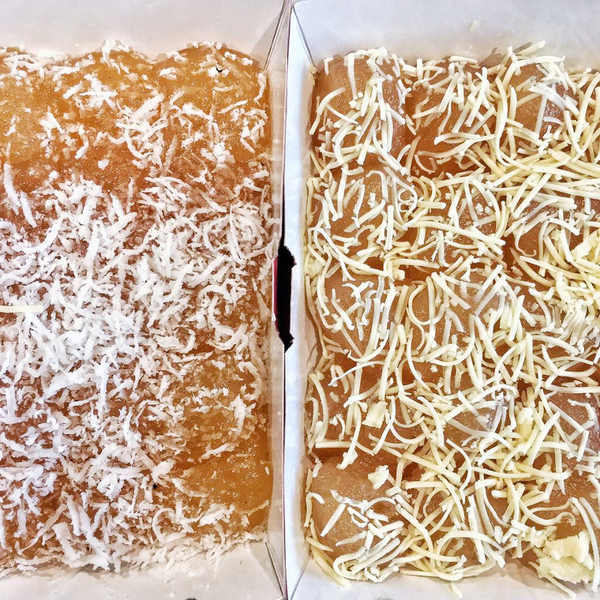 Either way you love your pichi-pichi, when you are craving for it bad, you can always rely on Amber delivery to the rescue. 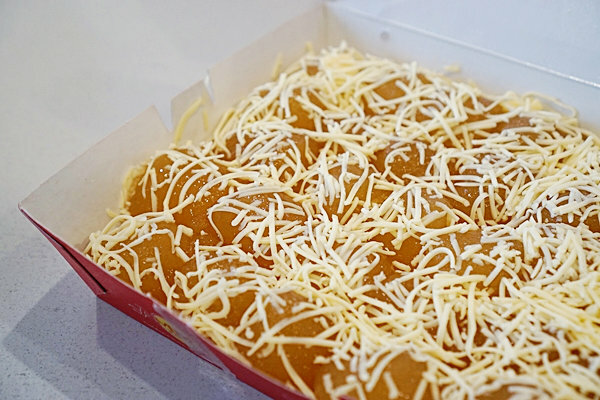 Pichi-pichi (sometimes spelled 'peachy-peachy') is a traditional Filipino snack of clumpy, bite-sized treats made from cassava, sugar, and water. Grated cassava (or cassava flour) is combined with water and sugar (sometimes with coconut juice or pandan juice for added flavor), then steamed. 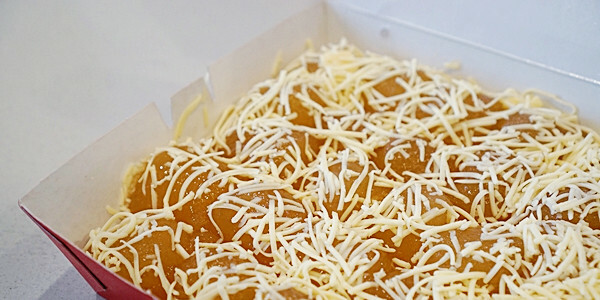 When cooked well, pichi-pichi is irresistibly sticky and sweet, soft and chewy. At Amber, they serve their pichi-pichi with different kinds of toppings, and the cheese variant is one of their top-selling dishes, along with their signature Pork BBQ and their Pinoy sweet-style Spaghetti with Meat Sauce -- any potluck party and office food delivery becomes extra delicious with these three. 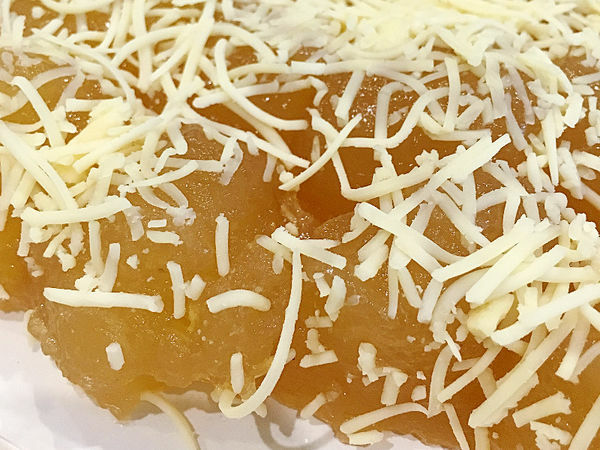 When you have the Pichi Pichi with Cheese delivered, it's best to consume it immediately while it is still freshly cooked. The golden nuggets are warm, sweet and chewy colliding with the salty cheddar cheese, the supermarket kind we're familiar of from our childhood sandwiched in pandesal. 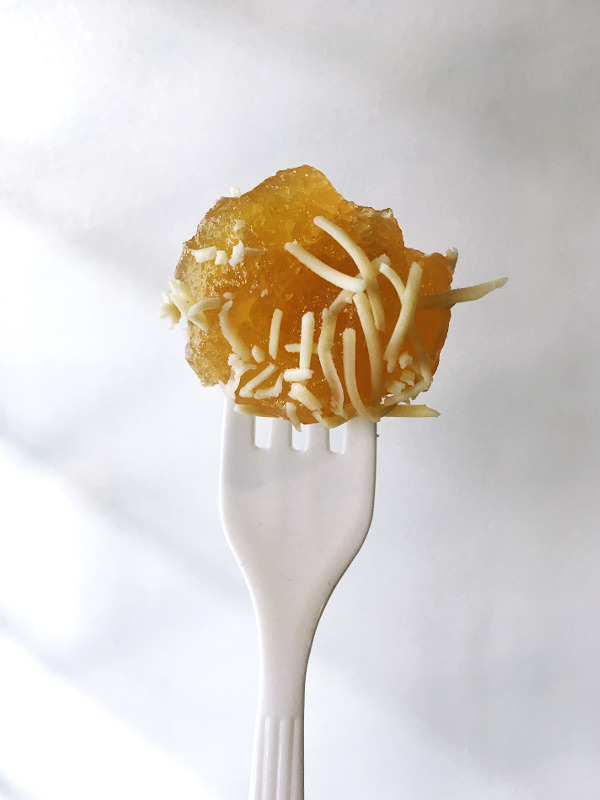 Salty plays with sweet in the best way here, and strangely enough, the cheesy pichi-pichi pairs well with the Amber spaghetti, which is also sweet and salty. Should you happen to have leftovers of this kakanin, don't forget to place it in the fridge as they spoil easily. Try popping one chilled piece in your mouth -- it's also another way to enjoy this treat, as the cooler temperature makes it extra gummy and chewy. Amber has 11 branches in the metro: Filmore Street Makati, South National Highway Muntinlupa, EDSA Mandaluyong, Tomas Morato Quezon City, Sucat Road Paranaque, Shaw Boulevard Pasig, Madison Square Building San Juan, Malate Manila, Bacoor Cavite, Las Pinas, and Grace Park Caloocan. 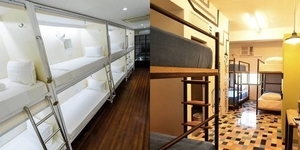 Call 884-8888 or visit their official website at amber.com.ph.